The problem with Xbox Live Indie Games is that they often go overlooked. Like the iTunes store, games are released so often that players can often miss the hidden gems in the crowd of releases. Some games such as I MAED A GAM3 W1TH Z0MBIES 1N IT!! !1 get media attention, but most slip away into obscurity, often without even a review from an indie gaming site. 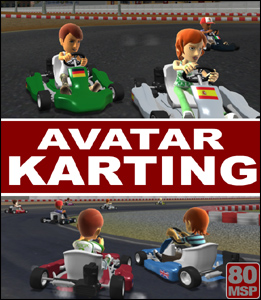 Is Avatar Karting a game that should be overlooked, or a game that players just can’t pass up? Find out after the jump.